MOSCOW, June 5. /TASS/. The first new-generation navigation satellite Glonass-K2 will be launched from the Plesetsk spaceport in north Russia next year, Reshetnev Information Satellite Systems Company, the satellite producer, said on its website on Monday. 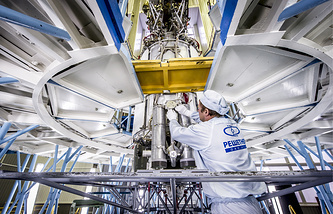 The spacecraft’s new automated control system will be used at the launch and technical compounds of the Plesetsk cosmodrome. The first launch of the Glonass-K2 newest navigation satellite from the spaceport is expected in 2018," the company said in a statement. A new automated complex will be developed specifically to exercise control of the satellite’s systems. The equipment will help track the satellite’s condition both at the stage of its preparation for the launch and during the launch of the carrier rocket. 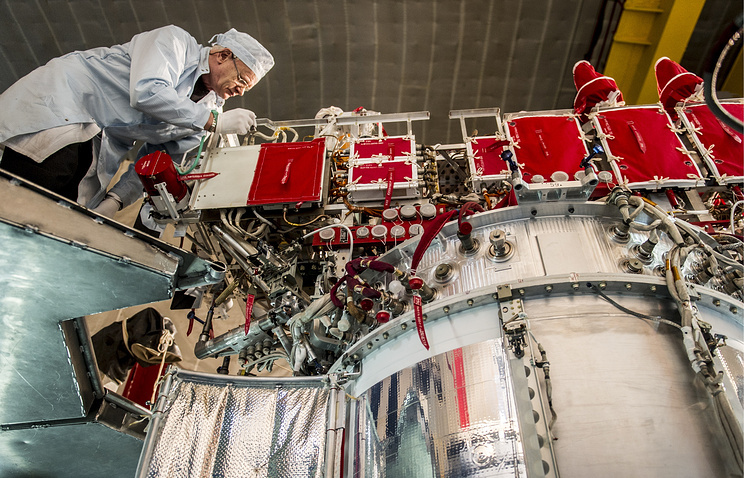 Third-generation Glonass-K satellites of Russia’s GLONASS global navigation satellite system are distinguished by their high accuracy of determining coordinates. They are designed for ten years of operation as compared to the previous-generation Glonass-M spacecraft with a service life of seven years. The first Glonass-K satellite was launched into orbit in 2011 and the second in 2014. The Glonass-K2 is designed to develop further the Glonass-K series. The Glonass-K2 will be transmitting nine navigation signals. It will weigh about 1,800 kilograms or twice as much as the Glonass-K1.